Over recent weeks football kit manufacturers - particularly Warrior and Under Armour - have been taking flak over their choice of their clubs' change kit colours. If we're honest, grumbles are consistently heard whenever new kits are released, a major objection being that the three kits over a season do not offer enough protection against the dreaded "clash", but the two new-kids-on-the-block American companies have taken this oversight to a new level. There are two games which have people up in arms, one already played and one on the distant horizon: Hearts v Liverpool in the Europa League play-off round on 23rd August and West Brom against Tottenham on 2nd February next year. In Scotland, Heart of Midlothian were forced to wear all white in a home game - changing to Away shirt and socks - as Liverpool's choice of all black Away kit was deemed to too similar to the dark-tinted maroon of the Jambos. Red would have equally been unacceptable and Liverpool's "nightshade" and white Third would have both given purplish-on-purplish action and dropped us in "overall clash" territory. So the home team changed. It's not right, it's not proper but it happened. The world moved on. Come February, Tottenham Hotspur will visit The Hawthorns and, as things stand, we don't know what kits the sides will turn out in. The argument holds that no Spurs kit will be acceptable, with the all white Home clashing with the navy-and-white-stripes/white/white West Brom kit, navy Away clashing with the navy stripes - and, crucially, West Brom's navy sleeves - and the black and grey halved Third being a bit too "dark, light, dark, light" when employed against a similar equivalent - somewhat proven against Reading. The solution, overall clash fans, may be for West Brom to wear navy shorts and socks and Spurs to wear their Home kit. We know the Baggies don't need much of a push to break out the change items and they're arguably just as recognisible in the shirt's darker accessories as they are in predominantly white. It won't be right, of course, not proper, but it might happen. The world will move on. It is not acceptable for home teams to be forced to change. Visitors should be respecting their hosts and making sure their own wardrobe holds enough variations - perhaps interchangeable - to avoid clashes. If referees are not satisfied with the alloted kits the away side has at its disposal then they should be forced to wear a goalkeeper kit outfield - if enough units can be sourced in time - printed up training wear or, heaven forbid, wear the home side's change kit. The home side changing any item should be a last resort and result in the visitors being fined, and that deterrent should perhaps be applied to the other undesireable scenarios too. It shouldn't be so difficult to create three kits which are, one way or another, certain to avoid clashes. Especially when distinguishing players on the pitch is the primary function of change kits, right? Right? This is where I have a problem with the argument and the anger at Under Armour and Warrior. I dispute that the primary function of kits - certainly change versions - relates to their appearance on the field of play. The purpose of change kits is to make money, and whilst they should also fulfill requirements as playing wear, I understand and agree with saleability as a starting point. Of anything up to a million Liverpool shirts produced this year, only around 0.1% will be worn by the playing staff of the club's sides and the rest need to be sold. It may be exactly the right time to rethink priorites. I love football kits, you may have noticed, but I also like my football club(s) to compete. Replica kit sales are a major source of revenue, whether this be directly, via the club shop, or through the potential leading to a manufacturer paying an obscene amount of money to produce the kit (or, indeed, a combination of both). If kits are produced, or can potentially be produced, which will sell well, ideally globally, then this will fund player purchases, stadium redevelopment and help ensure, in these dark times, the continuity of a football club. So when a club, and its manufacturer, release three kits which seem too similar, or for whatever reason provoke anger, it's worth considering that a significant amount of research has been put into finding out what will sell. And what will sell, it can equally be argued, is a fair gauge of what the fans really want. For all the calls for Liverpool to wear red at home, white/black/white as an away change and yellow as a third option - complete with interchangeable shorts and socks - will this truly set the tills ringing? The red Home kit has been well received on blogs, as has the black Away but which was the first replica shirt I saw being worn in the street? The much-maligned (and I agree it's awful) Third, in short-sleeved version on a father and long-sleeved on his son. There is method in the madness, and Warrior even suggest themselves that the "popular" colour of yellow doesn't necessarily sell in Liverpool kit form. Their research perhaps should have made allowances for an horrendous 2004 Reebok number and an unsightly green Carlsberg logo on the 2006 version, but you can't blame them for their conclusions. Even if we did have the colour of kits dictated by the loadmouthed minority (my membership is still valid) then should we have those same colours every season? Will a goth ever buy a white kit? Will those in warmer climes ever wear a yellow shirt in the summer, complete with covering of insects after a short walk to the shops? You can't please all of the people all of the time so it's surely best to please everyone at some point over two or three seasons. How many people will buy a white shirt twice, compared with how many will buy a black shirt and then a white shirt? To that we can add all those who will buy one or the other. The two ends do not need to be mutually exclusive. For me, all Under Armour and Warrior have done wrong is not working back from their trio of bestsellers and tweaked the designs to make them more suitable to the multicoloured rigours of Premier and Europa League seasons. Liverpool's Third kit already has white sleeves and white socks; could they not have made the body white with a nightshade (and orange) sash? Some white change shorts might come in handy too. Would that have impacted greatly on sales? They're the experts I s'pose, but they weren't all that far from having a full set which would have covered all bases. The most amusing argument I've read, for kits being made with primarily their use on the pitch in mind, suggested a parallel with hi-viz vests, created purely to ensure a worker is seen. The difference is that football provokes a desire amongst millions of fans to look like their favourite players, which means it is a kit manufacturer and club's marketing arm's duty to ensure this can be followed through to maximum gain. Whereas, with all due respect, who'd want to dress like YOU? FIFA and the Local Organising Committee (LOC) are excited to introduce one of the most high-profile ambassadors of the 2014 FIFA World Cup™: a unique Brazilian three-banded armadillo (the Tolypeutes tricinctus), a creature that is indigenous to Brazil. The mascot was officially launched as part of Brazilian broadcaster TV Globo’s weekly Fantástico entertainment show, where he was welcomed by Brazilian football legend and member of the LOC Management Board, Ronaldo. One of the great ruminations of football kit design is the concept of multi-purpose shorts and socks. That is to say, shorts and socks that suit, generally speaking are designed to suit, at least two of the outfield shirts in any team's season wardrobe. There is a call for flexibility in this area due to greater emphasis than ever before being put on the avoidance of the "overall clash". The implication seems to be that when two teams face-off they should not appear, even in the blink of an eye, to be similar in the way they are turned out. This dictates that, occasionally, the intended and marketed combination of shirt, shorts and socks is inadequate. Interchangeability is a concept, along with its contrary nemeses, which splits opinion. In one corner, the traditionalist: logical, resourceful and considerate; seeing the benefit and good sense of giving each item most use and most function, thinking of the consumer buying not a pair of Home shorts but a pair of Home/Away, maybe even Home/Away/Third shorts - Utility shorts, if you will. The classic table top football game of Subbuteo is one which many believed had died out. Not so. Its popularity is rising again. Whilst I make no apology for being opinionated, it occasionally becomes necessary for me to qualify my remarks. For example, I recently railed against the use of sublimation in football shirt manufacture, only to have it pointed out to me that major sportswear manufacturers utilise the technique to create stripes, hoops, sashes and other integral patterns. I was, of course, aware of this and merely hadn't been explicit enough in outlining that I was referring to sublimation's use when adding finer details such as single, double or triple striping on sleeves, manufacturers' logos, crests and sponsors. Ah, sponsors. Even more recently I wrote a piece taking aim at football clubs and associations - FAI, this means you - which allow shirt sponsorship to impact negatively on a design or reputation. What I didn't make quite clear enough, it seems, is that I actually like football shirt sponsorship. In fact, the right sponsor can make a football shirt. Cork City/QPR with Guinness, St Pauli with Astra, Scarborough with Black Death Vodka (really!). In my last article I referred to Liverpool's association with Carlsberg - as opposed to Standard Chartered - as being one which was celebrated by the fans, but I'm more of a Candy man (ha) myself, with a fondness for Crown Paints and, naturally, Hitachi. In fact, befitting someone born in Kettering - home of the first British club to wear a shirt sponsor - I am keen to embrace brand logos appearing on shirts, if it's the right brand and the right logo, and the bigger the better. 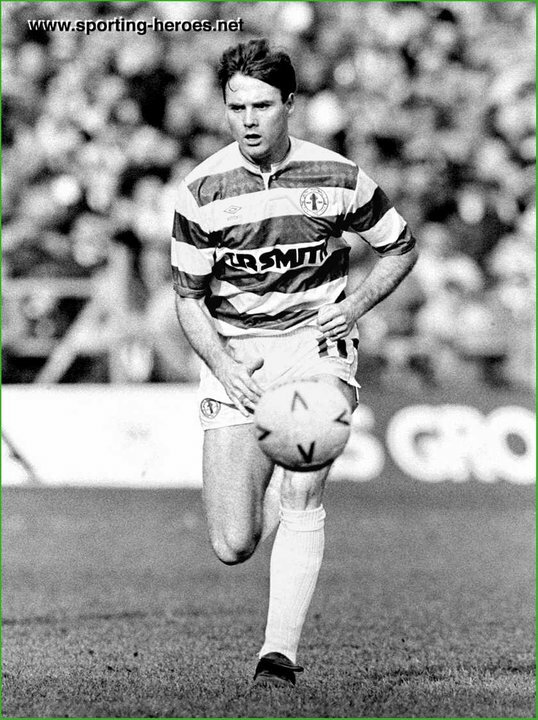 CR Smith was a particular favourite with Celtic - though the larger player style rather than the downsized version used on the replicas. And, whilst I understand the desire to get one's hands on a rarity, Uefa's limiting of the size of shirt sponsors is generally to the shirts' cost, even considering Borussia Dortmund's dispensing of the Die Continental wording on their run to Champions League glory in 1997, and creating a perpetually out of reach version of their 97-98 shirt in the final. On the other hand, the Uefa rule that teams in opposition cannot wear the same sponsor - seemingly now defunct - has thrown up some great one-offs, as has the barring of alcohol and gambling sponsorship in certain countries. Arsenal imploring people to visit Dubai paired up, in a cross-generational illustration of the UK's north-south divide, with Newcastle recommending a more modest outlay on a trip to Center Parcs. Blink and you'll miss them but they attain legendary status. Equally, an increased quantity can be as effective as an increased size. The French - also prone to cross-competition sponsorship rotation - and, even more notably, South and Central American team's football kits are covered in logos. 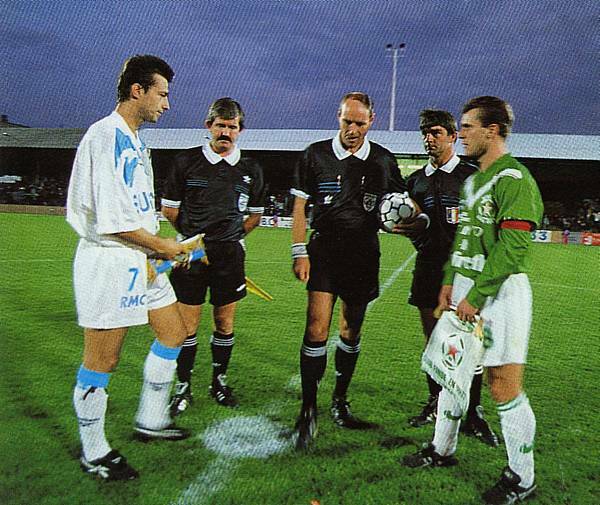 It's cluttered and it must detract from from the original design but a large-sized main sponsor surrounded by smaller indicators of more modest deals, short sponsors - and here I do prefer sublimation, and will forever regret lending my 1994-95 l'OM shorts to a teammate, never to see them again - and even iconic sponsors on socks just, somehow, looks cool. Like a Nascar or Piccadilly Circus, nay, Tokyo in football kit form. Today at DesignFootball we can present to you several new blank football templates created by graphic designer Conrad Burry (www.conradburry.com). Design work from Richard Debenham commissioned by Adidas for Uefa Euro 2012 - on display at the fan zones in Poland and Ukraine. The project's aim was celebrate the rich history between Adidas and the European Championships, showcasing the finest playes that have graced the competition. The designs concentrate on 3 legendary players from the tournament's past from 1972 to 2008, taking cultural references and styles, along with key Adidas elements from the year of the championship. Nike was joined by Ukrainian football legend Andriy Shevchenko today to officially open a renovated football pitch, sports ground and gym at the school in Kiev where he honed his football skills and received his education. "Ruined by the sponsor(s)" is an oft-repeated refrain on football shirt websites, particularly FootballShirtCulture.com, generally expressing disappointment at a warmly-received design carrying an organisation's logo which is to its detriment. Football clubs need to make money. More than ever before, any potential injection of funds into a team's progress has to be considered, even with significant drawbacks. Chelsea took money from a Russian oligarch with a shady past in order to stop going out of business (and he won them the European Cup), Llansantffraid FC became Total Network Solutions for a time and Manchester United, through maximising fund-raising efforts by floating on the stock exchange, left themselves open to being taken over by debt-laden owners. For most clubs, however, putting the name of a business on the front of the shirt is the major compromise of ideals. The most crudely symbolic in recent times are those of short-term loan companies such as Wonga.com on the Hearts and Blackpool shirts and the-pawn-broker-it's-ok-to-like Cash Converters on Hull City's torsos. These are indicative of recession-hit Britain and, like many others, are included on playing and replica wear much to the chagrin of supporters. Sponsors' logos are not always disliked; Carlsberg became popular with Liverpool fans, and I've always greeted larger profiled designs on French kits - not least Montpellier carrying 'Sud de France' to represent in stopping PSG winning the French title whilst l'OM fiddled - but what to do for the many logos which don't stir the heart so expertly? Well, sometimes allowing the fans the option of purchasing a sponsorless shirt acts as a PR olive branch. Celtic - currently sponsored by Tennent's - retail their shirts with and without the brewers' logo. In the cases of gambling and alcohol sponsorship, kids' shirts must be devoid of that kind of advertising so this is occasionally extended to the adult wear too, with pleasing results. One other approach is to offer an alternative to the sponsor, such as Swansea City putting their date of establishment on the kids' shirts, though this is rarely offered as an across-the-board option due to the potential of the paying publicity seekers' branded shirts being eschewed. But these are the exceptions rather than the rule. Most fans are forced to both wear and watch their team carrying a logo which they may dislike aesthetically - l'OM's Intersport sponsor, in royal blue and red, is a sartorial faux-pas on a shirt of white, lighter blue and orange - or hold deeper rooted resentments against, such as, in my own case, Liverpool's Standard Chartered. The latter belongs to a company, as if being a bank wasn't bad enough, which has spent its association with one of the world's most famous and decorated clubs shooting its mouth off and trying to engineer Anfield-policy with an arrogance and lack of discretion which can only be located in the finance sector. But hey, at least the logo's not too ugly. There are, still, other encouraging signs. Both Celtic and, "The Rangers" will wear shirts in 2012-13 which carry much smaller Tennent's logos below the crest, rather than broadly across the body, with Celtic still allowing the removal of this if preferred. Quite why the so-called "Old Firm" blanket polices still need to be in place is beyond me but, regardless, it's a tactic which has been employed in hugely popular Manchester City and Inter Milan shirts in recent history and long may it continue. Sadly, for every company which agrees to reduced visibility - such as on the new Coventry kit - there'll be a team which signs with a company whose logo immediately renders their shirt cheap and nasty (equally true in the DF gallery where one minute you get a beautifully subtle Real Madrid kit and the next a nauseating Colchester United shirt). Even Barcelona have let their shirts be sullied by not one but two sponsors. But why do I choose this moment to rail against shirt sponsors? We are, of course, in the midst of an international football tournament where shirt sponsorship does not feature. If only that were true. The FAI, reprehensibly, still sign deals which allow sponsorship to appear on Ireland replica shirts. As iconic as the Opel sponsor became, and despite being blessed with the historically and enduringly brilliantly-sponsored Cork City, the fans want sponsorless shirts. With there only really being one place that generally offers them - and only previous styles at a far from Irish recession-friendly price - the fans are often forced to think outside the box with their purchases, inevitably impacting on replica shirt sales. In 2012 it was the turn of the gorgeous training shirt to be a popular surrogate - pictured here sandwiching a pretty girl with a player issue unsponsored long-sleeved Italia '90-era example - to the point where it sold out. Is the extra revenue received from association sponsors genuinely calculable to cover the amount lost in shirt sales? Would relocation of the partner's logo be so hard to insist upon? We, as football fans, deserve the choice - none more so than the sea of green.